Eric D’Agati is the Founder and Director of ONE Human Performance. Eric has spent the past 16 years in the fitness industry as a coach, trainer and instructor, pioneering his unique approach to client assessment, performance enhancement and injury prevention. Eric studied Exercise Physiology at William Paterson University and, in addition, has had the good fortune over the years of learning directly from some of the greatest minds in the industry, including Gray Cook, Charles Poliquin, Mike Clark and Paul Chek. His list of certifications includes CHEK Practitioner, Poliquin Performance Coach, National Strength and Conditioning Association (NSCA), National Academy of Sports Medicine (NASM), Performance Enhancement and Integrated Flexibility Specialist (NASM), Functional Movement Screen (FMS), Selective Functional Movement Assessment (SFMA), Apex Body Composition Specialist and SPARQ Speed, Agility & Quickness Trainer. Each year, Eric travels around the world teaching and speaking to trainers, coaches and therapists from such prestigious organizations as Functional Movement Systems, NJAHPERD, NJSIAA, Nike and SPARQ Camps, Frank Glazier Clinics and The Mayo Clinic. Also a media presence, Eric has appeared on numerous shows and in several publications throughout the years. 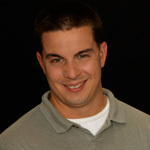 He has been a regular guest on sports talk radio shows The Natural and High School Sports Overtime and has contributed to StudentSports.com, SidelineChatter.com and CompleteQB.com. Eric is also very active with youth sports in his local community, where he coaches his two young boys in multiple sports.